"Access to electricity (% of population)"
I did a sort, so we can see the countries with the least percent of access to electricity by country. The World Bank collects all sort of interesting statistics; generally with ingenious, nefarious moral reasons, I cannot say I trust them. 1. Running electrical lines in barren countries, mountains, islands is not profitable. 2. Poor governments sometime profit from natural resources, oil, copper, hydro-electricity. 3. Governments often do not want enable their citizens to become educated, prosperous, or powerful enough to group together, and stop governments. 4. 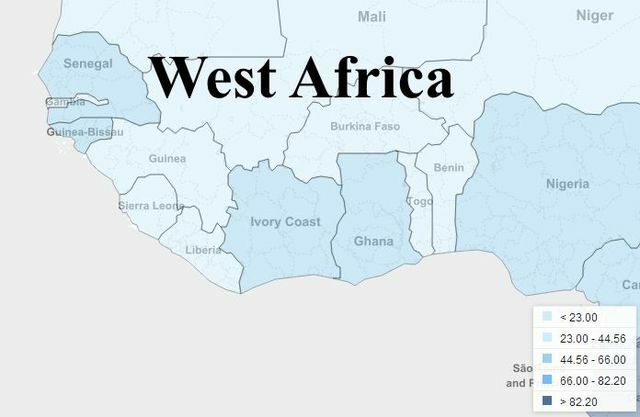 Countries with more than 80 percent access will probably reach close to 95-98 percent access to public ran electricity grid within 20-50 years. 5. 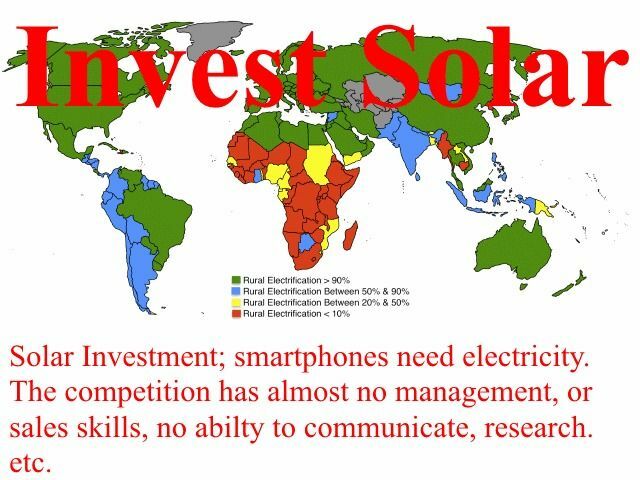 Cell phone, and smartphones has created a perceived need for electricity, television also creates a demand. Although we believe they want lighting, they will live without lights, but really want entertainment, and communication. 6. Communities seldom, almost never will work together as a unit to install one city electrical supplies. For governments, and private business is it not economically feasible to install electrical lines. They would not make money, and governments are in the business of making money for the people who own the countries. The is a great opportunity for all forms of solar business. The biggest obstacle is the locals have trouble saving money, yet the Micro-Finance companies are now very common. If one works with a Micro-Finance company, they locals could buy solar panels, this appears to be a "Gazelle Business" for the list of countries below. A 10,000 USD investments would fund one company. 19 years lived abroad, and in 107 countries.